After the job is done, professional will be payed by consumer. We are here to help you save time and money when you are in need of any professional security service. 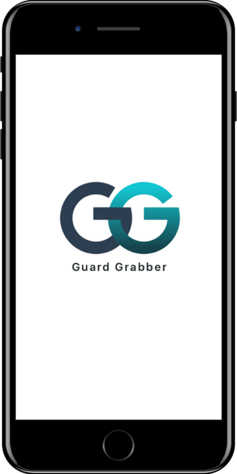 We have created the best security system for you with the Guard Grabber mobile app, giving you real-time access to view each security professional’s profile for free. You get their photo, height, weight, credentials, a five-star rating system, and their distance from your location. You can watch their arrival to your door with GPS tracking and choose the price you want to pay, with access to all their hourly rates. The Guard Grabber app makes it easy for you to book any security service that best fits your budget. Download the Guard Grabber mobile app from the Google Play or Apple App Store today and start living life well protected wherever you go. Every professional service provider is background checked, licensed, and ready to help you at a moments notice. Choose between various available security personnel in your area with differing hourly rates. You get to decide your best fit. You can track your booked security member to the requested event, ensuring they arrive on time and to the correct location.